the feeling or condition of being afraid. synonyms: foreboding, apprehension, consternation, dismay, dread, terror, fright, panic, horror, trepidation. “Until my own recent struggle, I don’t think I realized just how far-reaching fear can become, not only personally, but how my internal fears can begin to affect my relationships in significant ways. 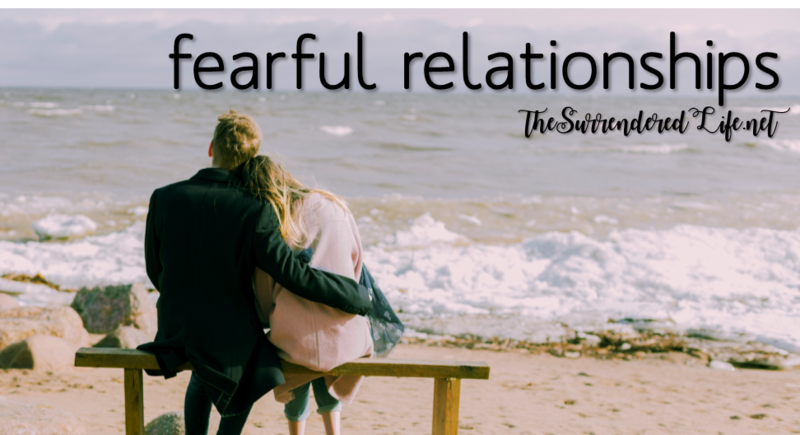 I think we’re all guilty of acting in fear in our relationships – I just think we don’t generally notice until it becomes out of control and is seen more in the results of deep depression, desperate behavior, and a pattern of broken relationships. ​and I'll be happy to provide more detailed and specific counsel and resources for you. The truth will set you free! True happiness is possible if you stop believing your lies. The authors explain Misbelief Therapy, a life-changing method, in an easy-to-understand way, teaching you to deal with your thoughts in a godly way. For example: they'll help you stop the misbelief, I'm so lonely and miserable, and replace it with the truth: I'm alone, but not lonely. God loves me with an everlasting love, and I am invaluable to Him. Once you pull the negative thoughts out and replace them with the truth, you will see that you can lead a satisfying and fulfilling emotional life. ​Stress has become part of our daily lives. We worry about our jobs, our relationships, and our families. And while there's no lack of remedies for anxiety, no solution seems to offer true peace of mind. Dr. MacArthur believes that peace is not only possible, it's a divine mandate. Drawing from a rich legacy of teaching and ministry, MacArthur puts aside cultural cures to uncover the source of our anxiety and stress. Based on solid Biblical insights, Anxious for Nothing shares how we can overcome uncertainty, defeat doubt, and be truly worry-free. 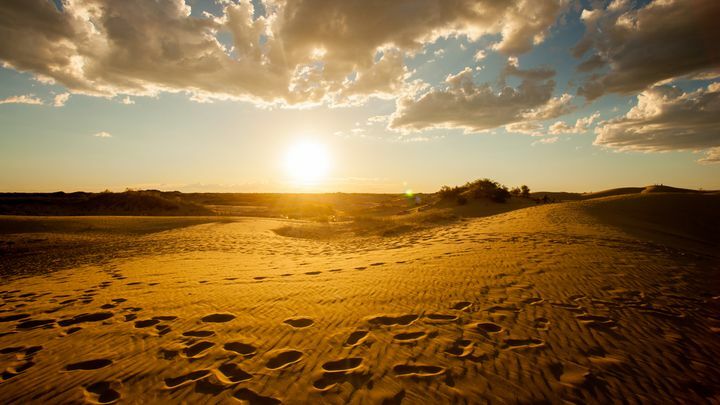 One of the haunting dilemmas of the human condition is that fear is "an inescapable feature of earthly life." Every person who has lived on this earth has encountered fear. Dr. Welch investigates the roots of fear in the human soul and the ramifications of living in the grips of anxiety, worry, and dread. Welch encourages readers to discover for themselves that the Bible is full of beautiful words of comfort for fearful people (and that every single person is afraid of something). Within the framework of thirty topical meditations, Welch offers sound biblical theology and moment-by-moment, thoughtful encouragement for life-saving rescue in the midst of the heart and mind battlefield of rampant panic-stricken responses. “No Worries” - We lob the phrase at others, but lie awake at night ourselves. Ebola, the economy, our kids, our parents, our future. We struggle to pull our thoughts away from our worries, fears, and frustrations. When we get stuck, it's not exactly easy to fixate on “whatever is true, noble, right and pure.” We are profoundly aware that our worries have negative consequences for our bodies, minds, and relationships. But like most real people with real problems, our thoughts keep swirling around the same old issues. Mindscape builds a practical action plan for changing your mental landscape—and your life—based on Paul’s rich exhortation in Philippians 4:8. Do you long to find freedom from fear? God never assumes that we will live without fear, but there are forms of fear such as anxiety that can ultimately lead to panic attacks, phobias, obsessive-compulsive disorder, and other things that God does not desire for us. Learn how fear relates to perceived threats to security, significance, and love, and how perception directly affects the degree of fear you experience. Discover how to move from fear to faith, "from panic to peace," through a deepened understanding of the love and power of Christ in your life. Jesus can set you free as you turn to Him for strength and help in each and every fearful situation. Discover that when you acknowledge you are weak and inadequate, God's strength and adequacy can prevail within you! Do you feel paralyzed by fear? Does it keep you from doing what you know is right and being who you want to be? When fear takes over, it seems like a controlling, irresistible force, and often becomes an excuse for not doing what we should. Yet there is hope and help in God's Word for conquering fear before it conquers you. In this booklet, Lou Priolo solves a problem that, for the chronically fearful, seems to have no solution. Proving that fear is an emotion to be controlled, not a force that controls you, he shows us that the fears that cripple us are caused by our own selfishness. He also provides insight into fear by listing ways to determine when your fear has become sinful, and offers guidelines for conquering that fear by drawing our courage from God's sovereignty and the comfort in his Word. How we respond to life’s challenges, whether in fear or in faith, can be a factor in our long-term usefulness to God and His Kingdom. When we choose to trust in God’s promises, we’ll find freedom, fullness, and rest. These 8 radio programs by Nancy DeMoss Wolgemuth are a great source of encouragement if you struggle with believing God in spite of your circumstances. From the time she was in junior high, when her parents divorced, Erin Davis struggled with panic attacks. They came mostly at night and were spurred on by horrific nightmares. When she awoke, sometimes she could barely breathe. She dreaded going to sleep because she never knew when she’d wake up in the middle of the night and feel suffocated by fear. She went to college and married her high school sweetheart. Together, they ministered to the youth of their church, but Erin hid the fact that she was still plagued by panic and fear. Set Free From Fear tells the story of how God delivered her through her fear and anxiety. 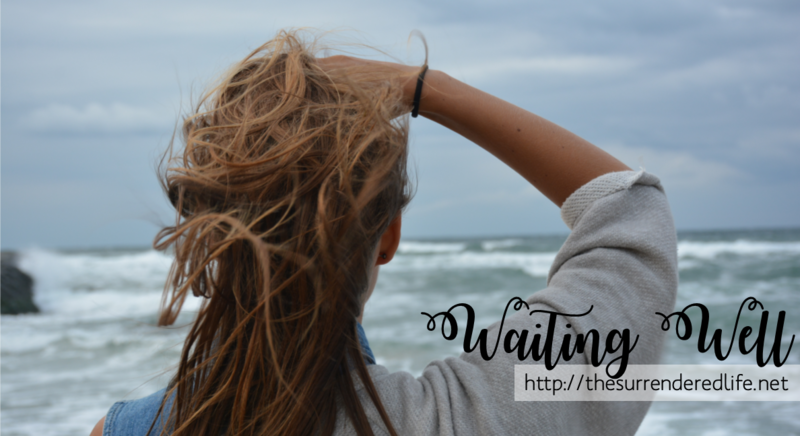 My dear friend, Ariel, recently wrote about her struggle with fear of rejection. She explains how we can learn from rejection and see it as a tool that God can use to direct our lives for His glory. We live in a world where seeing is believing. But that’s not at all the world described in the Bible. This seven-day reading plan will take you behind the scenes so you can see how God works through faith, not sight. Get to know Jacob, and gain insight from his experiences. You’ll see that God never punches out. He’s always at work . . . on you. And for your good. It’s likely you have a giant in your life that is holding you captive, intimidating you, and stealing your joy. Adversaries like fear, rejection, comfort, anger, and addiction stake a claim and gain a foothold in your heart. 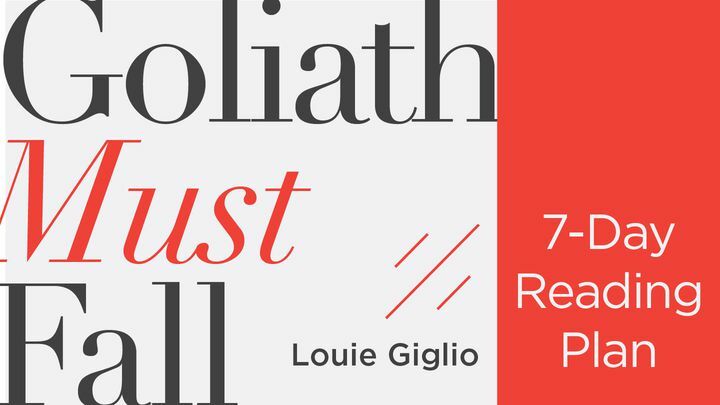 In this seven-day reading plan, Louie Giglio examines the David and Goliath story to show how those giants can fall: by focusing on the size of our God, not the height of your giants, and by walking in the victory Jesus has already won. With us in the storm. But with the Lord of Hosts. ​Are you stressed? overwhelmed? fearful? The incredible promises of peace in God's word are for YOU. Unfortunately, even though we know this, there is often a disconnect between what we know and what we do; a disconnect between what we want and what we're actually experiencing. God has promised us peace; we want peace, we need peace -- but we're not getting it. Why? What can we do to get it? Listen to this sermon by my late father, Pastor Mike Ellis, to find out how to be blessed with peace.